The 11 o’clock service seeks to be different. 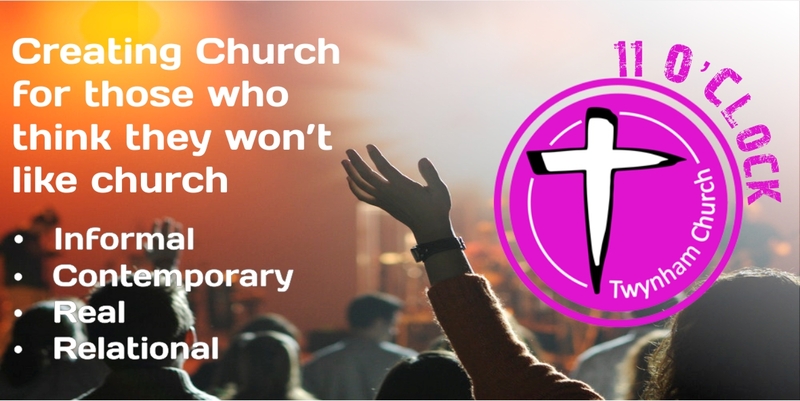 At Twynham Church we recognise that not everyone is comfortable in a more traditional church atmosphere, so the 11 o’clock seeks to make coming into the church an easier experience. This service is relaxed and less formal and we reduce the light so people don’t feel they are highlighted as new. Songs tend to be new and there is more of a reflective atmosphere to worship which means knowing the songs is not as important as personal reflection on what the songs are saying, so not everyone will be singing no matter how long they have been in the church. We hope to give space to those who want to respond to what God is saying to them personally, so prayer and ministry is offered to those who would like to receive it. We hope that no matter how you come to Twynham, you will feel valued, treated with dignity and without judgement.